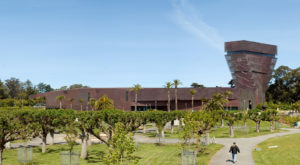 Summer is coming, and the de Young Museum in San Francisco is celebrating with several exhibits. Brought to you by recurring donors like Thom Weisel, William Moore and Belva Davis, and the National Endowment for the Arts, you definitely won’t want to miss these. In honor of the 50th anniversary of the Summer of Love, the hippie phenomenon that made a name for San Francisco’s Haight Ashbury neighborhood, The Summer of Love Experience is here to help visitors relive the emergence of counterculture in 1967. The exhibit includes more than 400 cultural artifacts from the period, including concert posters, photos, light shows, psychedelic music, and textiles. Many an aging hippie superstar turned up for the pre-exhibit-launch gala even though quite a few have since left the San Francisco area. Many of those guests donated memorabilia that will be available for viewing through August 20 on Tuesdays through Sundays from 9:30 AM to 5:15 PM. Admission is $10-$25. A related exhibit, Beyond the Surface: Worldwide Embroidery Traditions, is presented as a complement to The Summer of Love and focuses on the intricate embroidery and design of the era. The Fine Arts Museums of San Francisco recently acquired a huge collection of contemporary art from African American artists of the Southern US, and this is their chance to show off these unique and historically impactful works. The exhibit showcases paintings, sculptures, drawings, and quilts by 22 artists, including Thornton Dial, Ralph Griffin, Bessie Harvey, and many more. Revelations tells the complicated story of the African Diaspora, slavery, and the Jim Crow era. These works only really came to light after the beginning of the modern civil rights era; before then, they were hidden away in churches, cemeteries, and other safe places for protection. While this sort of art has been historically marginalized as “folk” or “native” art, Revelations gives it the important spotlight it deserves. The gallery includes photographs and carefully preserved contemporary art. The series will be viewable between June 3, 2017 and April 1, 2018. For the first time in 20 years, American Modernist Stuart Davis will get his due. In this exhibit, 75 of Davis’s works, including his breakthrough series in the 1920s that focused on cigarette packaging and household items, will be on view. Known for blurring the lines between “high” and “low” art, Davis combined elements of abstraction, figuration, text, and imagery to explore the times in which he lived. Aside from its sheer size, this exhibit stands apart in that it covers work spanning the artist’s entire life, so the visitor can see how his style both changed and remained the same over the years. Stuart Davis: In Full Swing will be available between April 1 and August 6 of this year. This is just a taste of what the de Young is able to offer this summer, thanks to generous donors and grants. If you’re in the San Francisco area, you’ll definitely want to stop by.